I wondered while I was in the car, on a road trip to Bulgaria. We brought a CD that much to our disappointment failed to play, but on the bright side we had plenty of time to ponder, wonder and chat. We, the western travellers, tend to choose a very controlled kind of travel, don’t we? Fancy hotels, glamping, resorts, spas and westernized restaurants offering universally acceptable meals. How about a more immersive genre of traveling? Surely exploring little corners of the world, looking for unique experiences, and emulating the daily habits of the locals is what makes you a traveller and not a tourist, I thought to myself, and perhaps said out loud to my friend Nick, while he was driving. A cultural melting pot with Greek, Slavic, Ottoman, and Persian influences, a country with a rich heritage of traditional dance, music, costumes, gastronomy and crafts. Also a former communist country, which joined the European Union in 2007 so a true hidden gem if you are looking for an off-the radar destination where you can interact with many aspects of history and cultural facets. 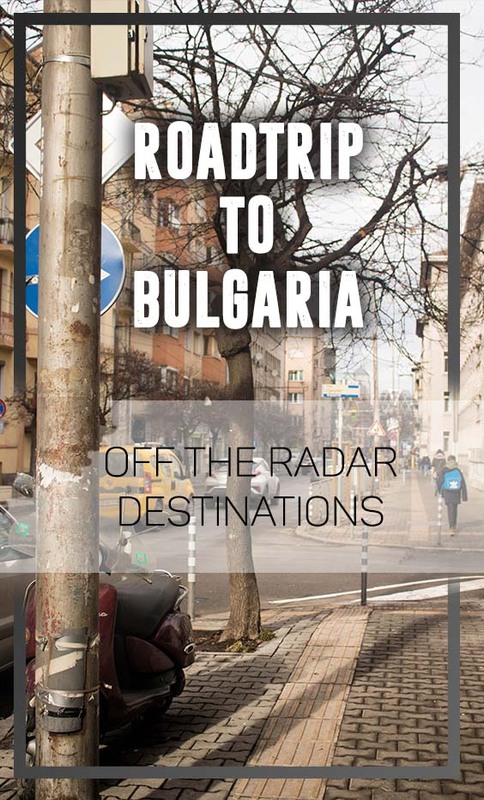 Here’s a mini guide to help you make the most of your trip to Bulgaria and re-appraise your approach to traveling and exploring. Sometimes the best way to broaden your mind is the simplest one. Weather permits, walk as much as possible without a map or a GPS. Just follow the buildings that speak to you and see where it leads you. Sofia, the capital of Bulgaria is an exemplary place to start as during the years of the communism, the Bulgarian government built plenty of buildings that were created in the name of the communist power. You can actually see how exceptionally majestic is the communist architecture. And then as you wander away from the lustrous marble, away from the city centre you can see, you can feel, the urban poverty and the three Bulgarian realities. The poor, the middle class and the upper class. Looking at all three will give you a better understanding of how the world works. There are indeed world class restaurants in Bulgaria. Make a stop at a local old-fashioned café or eatery and pick something you’ve never had before. If you have no dietary restrictions choose something randomly. Be spontaneous. Or tell them what you like and ask the staff to recommend something along those lines. If you want to eat meat like a Bulgarian have a Kebapche. If you need a little pick-me-up get a pastry, a Banitza usually stuffed with cheese. If you ask me, always go for street food: get a massive slice of pizza with egg on top from a pizza stand-they have plenty, on every corner. Quick eats are the best eats. I spotted a vegan restaurant as well, this universal cruelty-free lifestyle is catching on. Indie bookshops, cool wine houses, quirky fashion labels and thrift stores will satisfy your treasure hunting cravings. If you are looking for unique memorabilia, Japanese manga, vintage magazines or a rare book for your collection go straight to Elephant Bookstore. You may need to set an alarm or you’ll stay there forever. If sustainable fashion makes your heart skip a beat, get ready to undress and slip into the most delicate, luxurious lingerie by the Bulgarian brand 05 Studio. They work with local seamstresses and small independent ateliers and they actively participate in the process with handwork for every single piece of the collection. If that doesn’t make you feel special I don’t know what will! If you only have time to visit one shop where you can get all sorts of bits to bring back home, make a stop at Soul Elements, an environmentally conscious magic land, where you can buy a pair of minimal sneakers, a cotton blanket, orange and vanilla chocolate, a collapsible reusable bottle and a meditation scarf- whatever that is I need one. Oh and since you are already there can you pick up a Sweet Orange, Sunflower & Saffron tea for me please? Thanks. On our way home we found a forgotten 80’s hit mix CD. Time flew by and I promised to go back very, very soon to explore more. Gabi C : Wonderful post. I usually follow the buildings and the road, not the map. The collagge of things to see is just so nice and original. Thank you. Chelf C : Thank you so much Gabi! I was going for an unpolished, authentic vibe on this post, as road trips tend to be a bit more casual, and I felt the need to enhance that vibe through my post. I'm so glad you enjoyed it! Phill S : I enjoyed this. Over the years I’ve spent a lot of time in Romania but never Bulgaria. The bit about ‘following the buildings’ was great but, with my sense of direction, I’d never find my way back again.